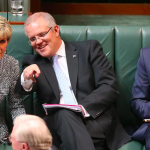 Unelected prime minister Scott Morrison announced last Thursday that the next federal election will take place on 18 May. And if the Coalition’s 52nd consecutive Newspoll loss on Sunday is anything to go by, it’ll be his last big announcement in the position he’s been busily sabotaging. During his speech, the PM mentioned his government’s promised “first budget surplus in more than a decade”, although he neglected to say that much of this $7.1 billion rests on underspending on the National Disability Insurance Scheme by $3.4 billion this financial year and $1.6 billion in the next. 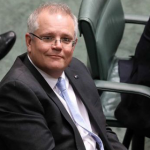 Morrison also vowed to keep delivering budget surpluses “and pay down the debt”. But, we should remember that the current “debt and deficit crisis” has seen the Coalition government amass more debt over the last six years, than all the previous governments combined during the prior 112 years. 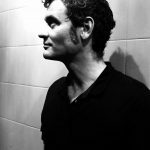 Of course, the prime minister made no reference to failing to call the election earlier, so he could continue using taxpayer funding on his campaign advertising or that his announcement halted a Senate Estimates hearing that would have found the CSIRO didn’t tick off on the Adani approval. 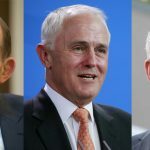 Indeed, as he announced the election, the Pentecostal PM addressed the members of the Australian electorate as if they have an inability to see through these lies, and in doing so, his overinflated ego again prevented him from grasping the fact that he’s actually dumbing down the office he occupies. Whilst holding the role of senior minister, one of Morrison’s most ridiculous episodes has been the Christmas Island Immigration Detention Centre fiasco, which has seen the reopening of a facility he only closed down in October last year. Following the passing of the Kerryn Phelps-introduced Medevac Bill on 13 February, the prime minister went into a tizzy, claiming the legislation that allowed for the easier transfer of sick offshore detainees to Australia was about to lead to an influx of asylum seekers arriving by boat. 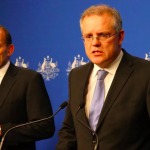 Morrison then flew to Christmas Island and announced that he was reopening the detention centre at the cost of $1.4 billion so as to hold sick asylum seekers being transferred from Manus Island and Nauru that the government deemed to be a risk. Over the month following, 150 Serco staff were sent to the island where no asylum seekers were being held. And then the 2019 Budget papers were released on 2 April, which revealed the government now plans to close the facility down again in July. On the first full day of the election campaign, Morrison made another bumbling political manoeuvre when he warned that Treasury Department costings of Labor policies revealed that the ALP would be increasing taxes nationwide by a total of $387 billion over the next decade. The Labor Party responded that the Treasury calculations were “dodgy”. And complained of the politicisation of that department under the Coalition, as the Treasury had previously made clear that it doesn’t cost opposition policies. But, it then became apparent that the Treasury had been duped into providing the data. Treasury secretary Phil Gaetjens explained to Labor shadow treasurer Chris Bowen that the department had provided the figures, but weren’t informed that they related to Labor policies. And further, the Treasury had issued standalone costings for each of the separate policies, but hadn’t taken into account the interactions between the different proposals, and therefore, had not provided the Morrison government with an overall total. And women’s advocacy groups are outraged by another recent Morrison government initiative that will see $10 million invested in Specialist Family Violence Services, which will provide counselling to couples dealing with domestic violence. The government has been criticised for funding a strategy that instead of enabling women to leave dangerous relationships, encourages them to remain within them. Advocates have warned that these sorts of sessions can lead to retribution from the violent partner. NSW Women’s Domestic Violence Court Advocacy Service director Hayley Foster told the Sydney Morning Herald that this counselling is more likely to “put women and children in danger”. She further outlined the approach is at odds with other programs that service providers are delivering. Of the organisations invited to sign up to provide the counselling, around half are faith-based, with the majority being Catholic, which shows Morrison’s government investing in a Christian approach to domestic violence, which prioritises marriage over the safety of the abused partner. In fact, as a parishioner of the Sutherland Shire’s Horizon Church, the PM has allowed his faith to shape much of his politicking. Since his time as treasurer, he’s been pushing for further religious exemption laws, which would allow ‘the faithful’ to discriminate against LGBTIQ people. Last week, controversy raged around Wallabies star Israel Folau posting a meme that stated gay people will go to hell. A fundamentalist Christian, the football player – who’s just been sacked by Rugby Australia – made a similar comment in a post last year, and was warned not to do it again. It was then treasurer Scott Morrison who rushed to Folau’s defence at the time. Our PM told the press that the footballer had shown “strength of character” in publicly condemning gay people to hell. He went so far as to commend the footballer for “standing up for his faith”. While much of these episodes portray a blundering head of state, who’s somehow found himself at the helm by accident, there’s a very sinister side to Morrison, which is evidenced in his former position as the architect of Operation Sovereign Borders. Back in 2013, when newly arrived asylum seekers were being sent to Manus and Nauru, they were greeted with a video of then immigration minister Morrison warning that even if they were legitimate refugees, they better get used to prison, as there was no way they’d make it to Australia. Our current leader also proposed a $9 billion plan in early 2014 to build mass detention facilities somewhere in the countryside, where many of the 30,000 asylum seekers that were already living within the Australian community on bridging visas could be sent and detained. Now, is this the person we want to vote in as prime minister?